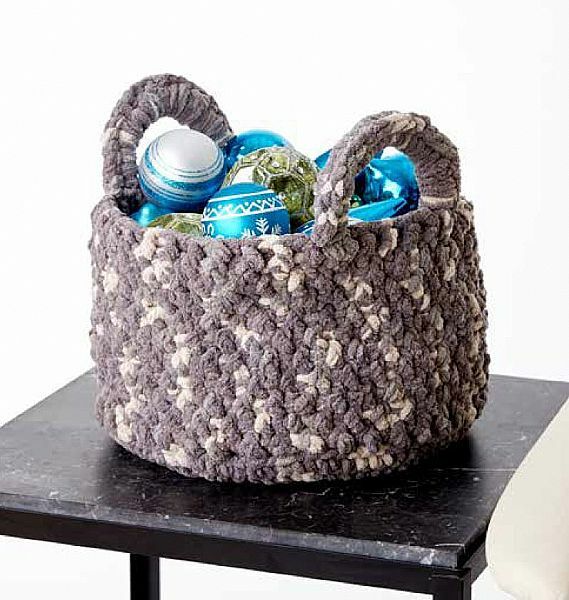 A beautiful basket pattern with two handles. Great for storage or as decoration. Made with the Super Bulky Bernat Blanket yarn. Hooks required Sizes U.S. K/10½ (6.5 mm) and U.S. L/11 (8 mm) crochet hooks or size needed to obtain gauge. 4 st markers.